Saul Alvarez has decided to skip making a voluntary defense of his WBC middleweight title and instead move up to 168 to challenge WBA World super middleweight champion Rocky Fielding for his title on December 15 at Madison Square Garden in New York. The broadcaster for the fight is still being worked out by Canelo’s promoters at Golden Boy Promotions. Fielding is with Matchroom Boxing, so there’s a chance that the fight could be potentially streamed on DAZN in the U.S. It’ll be shown on Sky Sports in the UK. After being involved in two consecutive controversial decisions in Las Vegas, Nevada, Canelo is now finally fighting in another state by facing Fielding in New York. It’s thought by a lot of boxing fans that the Nevada judges saved Canelo from two defeats at the hands of Gennady Golovkin in his last two fights in that state. It’s unfortunate that when Canelo is finally going out of Nevada to fight that he’s picked one of the lesser super middleweight champions in the eyes of a lot of boxing fans. Fielding is seen as the weakest of the champions at 168. Canelo could have fought these champions at 168: Callum Smith, David Benavidez, Gilberto ‘Zurdo’ Ramírez or Jose Uzcategui. This is thought to be a one off fight for the 28-year-old Canelo at 168, similar to his fight in the weight class last year when he fought Julio Cesar Chavez Jr. at a catchweight of 164.5 pounds. However, Fielding is in his prime at 31, unlike Chavez Jr., who clearly looked like a shot fighter and not capable of giving Canelo any kind of a real fight. Fielding (27-1, 15 KOs) won the WBA title with a 5th round knockout win over champion Tyron Zeuge last July in Germany. Fielding showed good power and poise in waiting until the 4th and 5th rounds to start unloading on Zeuge with combinations to the head and body. If Fielding fights in a similar manner against Canelo, this could be a competitive fight with a lot of fireworks on December 15. Canelo won the WBA and WBC middleweight titles last September in beating champion Gennady Golovkin by a 12 round majority decision in Las Vegas, Nevada. 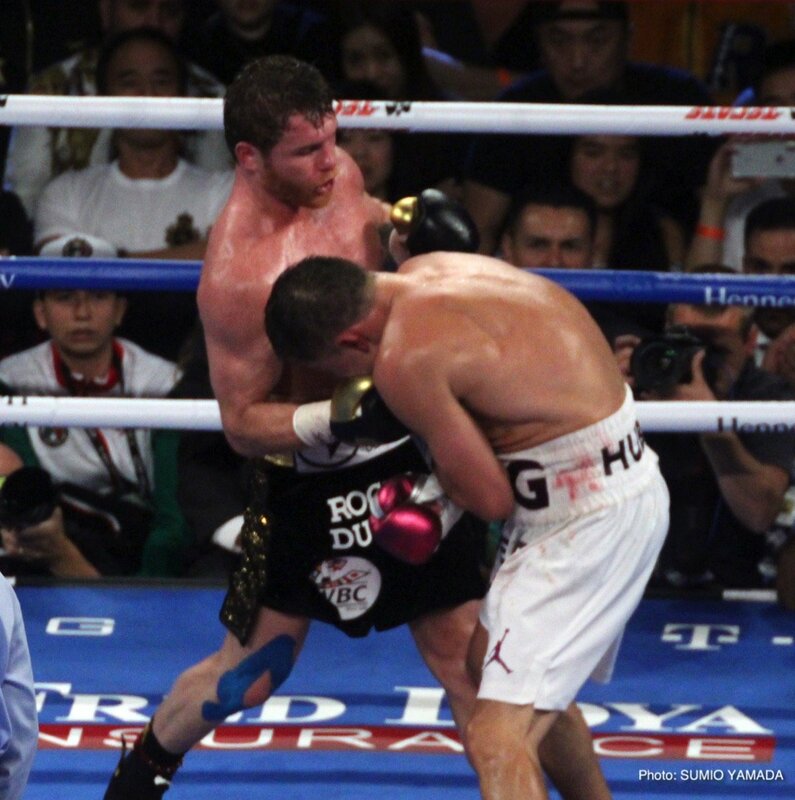 Golovkin wanted a rematch, but Canelo and Golden Boy Promotions prefered move in another direction by facing Fielding. Team Golovkin asked the World Boxing Council this week at their 56th annual convention to order the Canelo-Golovkin 3 fight, but the WBC was in a bind due to WBC interim middleweight champion Jermall Charlo wanting his mandatory title shot against Alvarez. WBC president Mauricio Sulaiman came up with a solution to make both Golovkin and Charlo happy by having them face each other with the winner getting the Canelo fight. There’s no word whether Golovkin and Charlo will fight each other though. Charlo will likely take the fight with GGG if he has to, but clearly it’s not the option that he wanted given that he’s already Canelo’s mandatory. The WBC is asking Charlo to fight in what amounts to be another eliminator to get a title shot against Canelo.